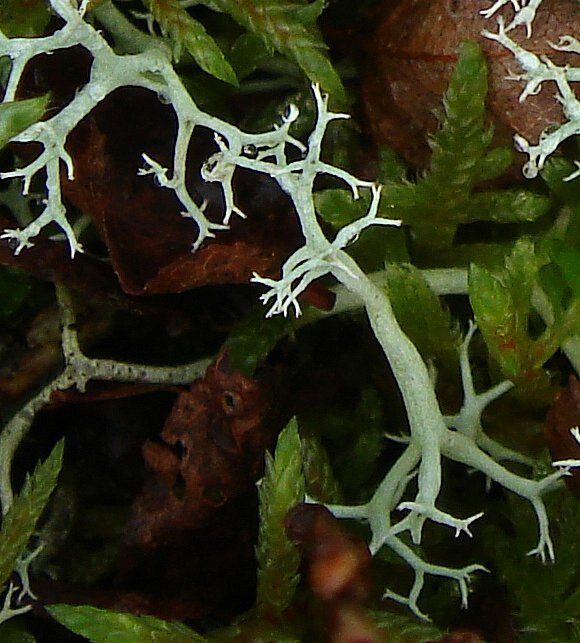 Some similarities to Cladonia mitis, another Reindeer Lichen and to Cladonia arbuscula where the bifurcations are usually at an angle of less than 120° and the branches slightly curving the same way. Distinguishing Feature : A mass of architectural, stubby, light-grey-green branches set at 120° resembling Reindeer antlers. Free roaming, no roots. Un-like similar looking Cladonia species, portentosa does not have branches that eventually veer off to one side near the tips. Note also the colour of the tips. Ultraviolet radiation (UV-B) induces the formation of Usnic Acid in Cladonia Portentosa, which is thought to protect the lichen from UV-B. Usnic Acid is a bitter and yellowish-green pigment thought to only occur in lichens, but now also found in hops. 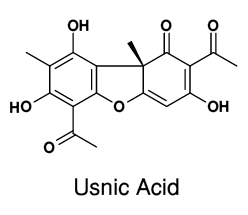 Usnic acid is one of the very many so-called Lichen Acids found in Lichens (and very few other plants). It was first discovered in Usnea, a Genus of much branched lichen that hangs from trees. It is highly effective against gram positive bacteria such as those which cause tuberculosis (mycobacterium tuberculosis), food poisoning (staphylococcus), enteritis (enterococcus faecalis and faecium) and pneumonia (pneumonococcus) as well as being an anti-ptotozoan, anti-viral, anti-inflammatory and an analgesic. It is used as a preservative in cosmetics, toothpaste, sun-screen lotions, hair shampoos, deodorants and face creams. Despite it being on the suspect list, usnic acid has also been taken internally and un-officially to reduce weight, although its effectiveness is open to question. It is thought to damage the liver. It has been used in Chinese and North American Indian medicine for many years. Usnic Acid has been found to exhibit anti-biotic properties, and may explain why lichens were once used in baby nappies in New Zealand. Usnic Acid has a rather unique spectral reflectance, which makes it especially suitable for the remote sensing of lichens containing it by satellite. Norwegian scientists have charted the decline of lichen heaths caused by metal smelting; and the subsequent ascendance as metallic emissions decrease. 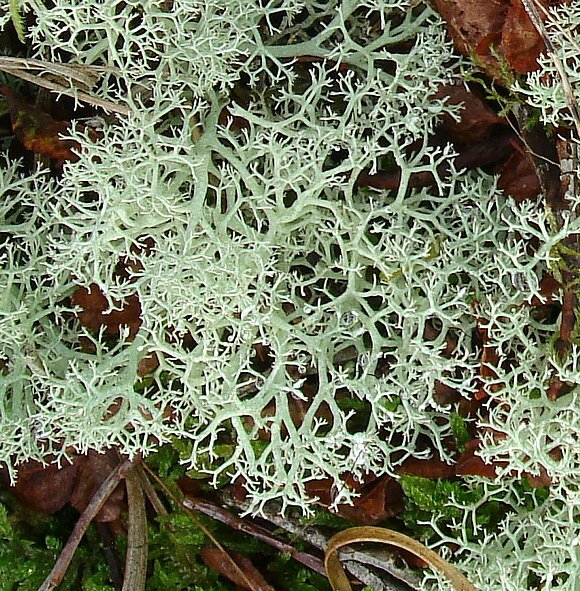 Usnic Acid has many chemical similarities to other Lichen Acids, such as Stictic Acid, which is found in Usnea flammea . 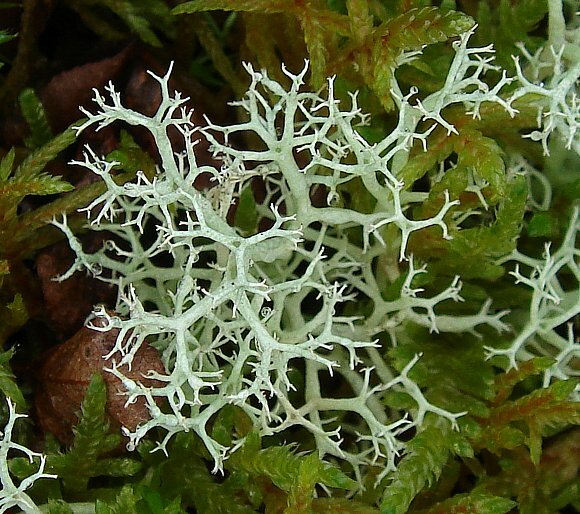 Cladonia Portentosa is a light greyish green, with rounded branches which are bifurcated fractally several times, with branches symmetrically spaced 120° apart producing a 3D space-filling structure. It has a stubby architectural appearance, reminiscent of a miniature bilbao tree. The branches are hollow. 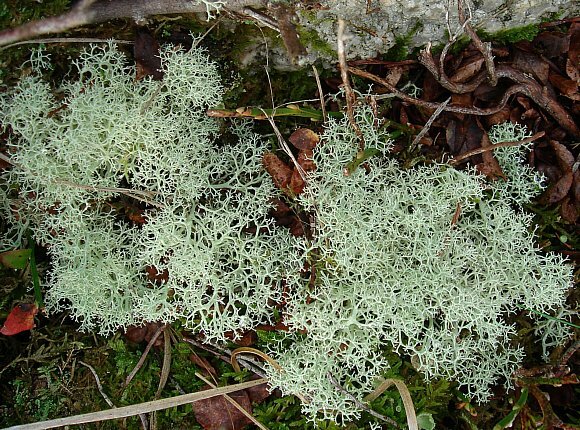 In Canada it is known as Reindeer Moss, not only because it looks similar to reindeer antlers, but because Caribou (known in Europe as Reindeer) eat it. Other similar Reindeer Lichens are Cladonia mitis and Cladonia arbuscula . Crotal takes up to five years to grow, but lasts a long time. It grows on grassland on wet acidic upland grassland. Your author has also seen it covering the upper parts of The Lawley, a hill near Caer Caradoc in Shropshire, where it was blowing about by the high wind and rolling low on the grass. Even though its normal habitat is upland bogs and grassland, it dries readily in low relative humidity conditions for it has no roots to keep it moist, and without water storage tissues its moisture retention capabilities are very limited. Crotal is highly flammable when desiccated and is decimated by forest or moorland fires when it will take five years to recover. Hot forest fires (and any burning plant material as long as it is hot enough) will generate substances called Karrikins , which are wafted around in the smoke. Karrikins (in particular KAR1) are plant growth regulators. They encourage and promote the germination of seedlings, which would be especially useful to the continued growth of plants razed to the ground by a forest fire, as long it didn't get too hot below the soil to damage the seed. These could be the seeds of trees burnt, or other seeds belonging to other plants that were also scorched. The triggering of seed germination by Karrikins requires the synthesis of Gibberellic Acid (another plant hormone - described below) and the presence of light. This is an adaptation by plants; they have 'learned' that there is a lot of sunshine that can percolate to ground level after a forest fire, and that this would now be an opportune time to dominate the scorched and razed land. They use the Karrikins which were within the smoke but may have been picked up by any rain-drops which watered any scattered seeds helping them to germinate. Karrikins are key germination triggers for many plant species prone to forest or grassland fires in hot climates, such as in the Metronome. Karrikins are able to trigger germination of certain plants such as Thale Cress (Arabidopsis thaliana) far more effectively than can the related previously known phyto-hormones the Strigolactones. There are four known Karrikins (not to be confused with another growth hormone called Kinetin), which are butenolides (a five membered ring and lactone) fused to a 4H-Pyran (aka Oxine ) ring (a six-membered ring). They are known as KAR1, KAR2, KAR3 and KAR4. 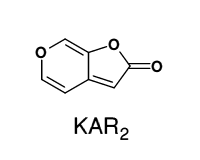 KAR2 is the simplest, lacking any additional methyl side-groups and chemically is ; KAR3 and KAR4 possess two methyl side-groups. 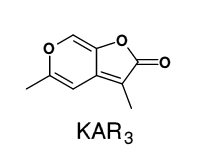 Karrikins have a structural similarity to the known plant hormones Strigolactones, such as (+)- Strigol , (+)- Orobanchol , Sorgomol, Strigone and Sorgolactone and several others. Karrikins do not occur in lichens, nor in plants, as far as is known, and are only generated in hot fires of burning plant material, such as in forest fires. 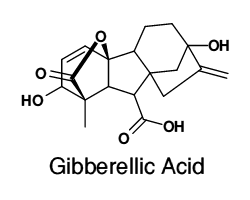 Gibberellic Acid (aka Gibberellin A3, GA or GA3) is not a Karrikin but a potent plant hormone which acts in synergy with the Karrikins (when they are around, which is not often - only after a hot forest fire) to help germinate seeds. They accomplish this far more effectively than can Gibberellic Acid acting on its own (see text above). 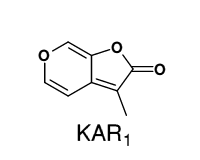 It is a pentacyclic diterpene which lacks the heterocyclic oxygen atoms within the rings of the Karrikins. It is based on the skeletal structure of ent-Gibberellane, which is similar to that of ent-Kaurane (but that exchanges the 5 membered ring for one of six members with a few other rearrangements or omissions of side-groups). Both are diterpenoids found in plants. 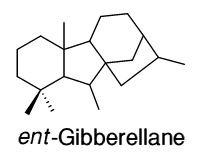 There are a large number of other Gibberellins, 126 as of 2003, found in various living organisms such as plants, fungi and bacteria. All those with 19 carbon atoms are, in general, bio-active, whereas those with 20 carbon atoms are not. 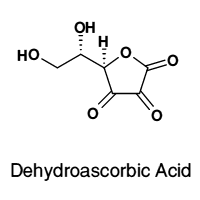 Gibberellic Acid is dihydroxylated Gibberellin A1 (not shown). 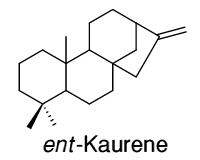 They are based upon the skeleton of ent- Gibberellane but synthesized from ent- Kaurene which possesses a 6-membered ring in place of the 5-membered ring. Some Kauranes are also in other lichens, such as 16α-HydroxyKaurane. 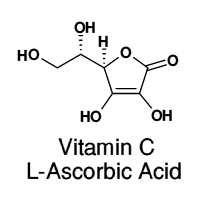 Not Karrikins, but another Butenolide of great importance to both mammals and plants is Ascorbic Acid, better known as Vitamin C (which is not a single compound, but refers to a number of compounds having Vitamin C activity - but to work well, they are converted to the most active form of the vitamer, DehydroAscorbic Acid). Between them, Gibberellic Acid and its antagonist Ascorbic Acid act in anti-concert regarding their roles in seed germination, the first encouraging germination, the second discouraging it. When the relative concentrations of the two tip towards Gibberellic Acid, then the seed sets about germinating, but otherwise if the proportion is tipped towards Ascorbic Acid, then germination is delayed until conditions are just right. A differential mechanism, which is far more sensitive and responsive than a trigger point set to the concentration of a single substance. Temperature, rainfall and sunlight-hours could all have their say on the balance between the two antagonistic compounds in ways not yet fully understood. After the Chernoble nuclear reactor explosion in April 1986, reindeer lichens such as this absorbed high concentrations of radionuclides, especially the more soluble and volatile ones such as caesium-137, which has a half-life of 30.1 years. It decays into the innocuous barium-137 with the emission of anti-neutrinos (which are harmless), beta particles and gamma rays. Accidental ingestion of caesium-137 can be treated with Prussian Blue , Iron hexa-cyanoferrate, Fe(CN)6, which forms a complex with caesium, rendering it immobile and hastening its excretion from the body. Because reindeer feed on these lichens, the radioactively-poisoned reindeer lichens contaminated the meat of reindeer, rendering them inedible and un-salable by the indigenous folk of the area, the Sami. The Sami lost their primary source of both food and livelihood, and their future is still under threat - with barely one half-life period of time having elapsed since the Chernobyl accident. It will require a period of about ten half-lives (300 years) before the extensive radioactive contamination has fallen to acceptable levels.